In the continuing evolution of the U.S. Anti-Doping Agency’s report on cyclist, Lance Armstrong’s case, singer Sheryl Crow who dated Armstrong from 2003 through 2006 during two of his seven Tour de France wins, has given an affidavit to the Wall Street Journal stating she knew many of the doping details and that was helpful in the investigation. 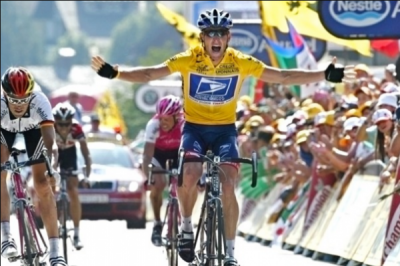 Lance Armstrong has been stripped of his seven Tour de France crown wins and the ongoing information regarding blood doping and testosterone usage has resulted in a large blemish on the sport. There seems to be a lot of confusion in the public as far as legal issues that are implemented in sports specific regarding performance enhancement. Dr. Lox points out that this is carried over into regenerative medicine. Dr. Lox states that there is a huge difference between what has been decided as being acceptable and legal for a sport by sanctioning bodies including anti-doping agencies versus regeneration and recovery from sport. Even platelet rich plasma and stem cells which are meant to help heal injuries and promote recovery have been dragged into this controversy when Dr. Lox points out it is two totally different areas. Trying to aid in one’s recovery by healing is just a spectrum from rest, ice, inflammation, using anti-inflammatories, physical therapy, or in some cases, surgical intervention, all may be necessary to help improve an injury. The use of regenerative medicine techniques such as platelet rich plasma and stem cell technology to aid an injury is no different and in no way is this associated with performance enhancement. This is merely an avenue to help an individual recover and if this is in a particular sport, then in no way is this considered the same or should be viewed in the same light. Various professional, Olympic, and organized sports specialties have their own selected criteria of which they consider is performance enhancement. In cycling, there are specific banned substances which according to the U.S. Anti-Doping Agency’s report, Lance Armstrong has violated. Lance Armstrong has decided not to fight these charges and was subsequently stripped of his seven Tour De France crowns. If one has an injury to save one’s knee and in the course of this injury, innovated treatment is utilized such as platelet rich plasma or stem cell technology which many athletes have turned to, this in no way is considered performance enhancement and the two issues should not be confused.